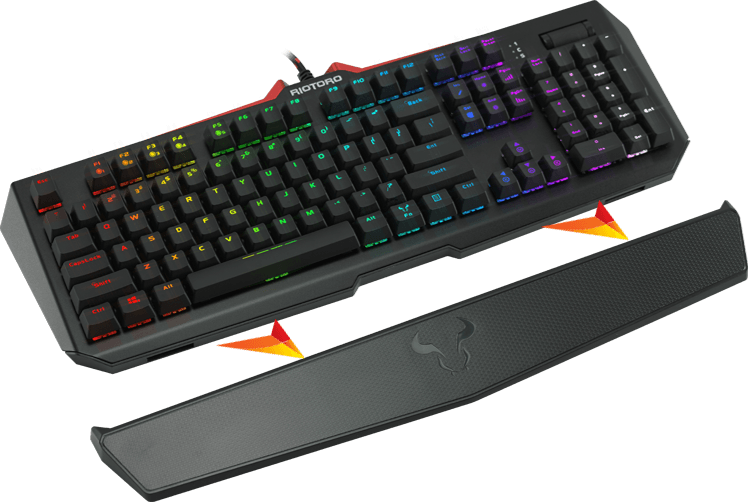 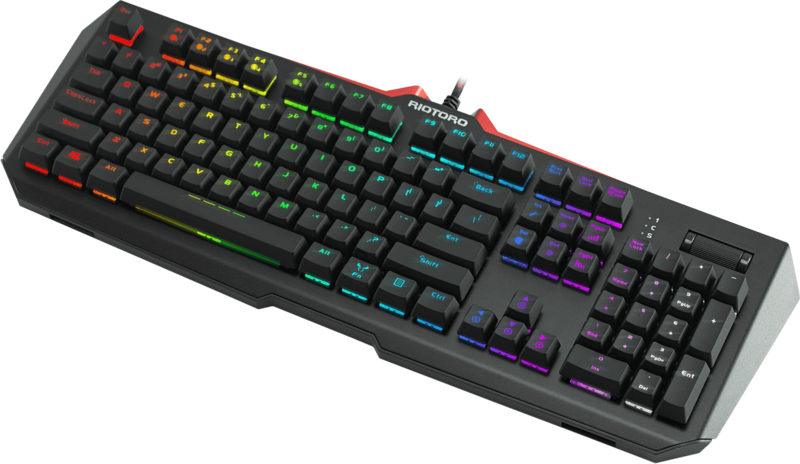 The Ghostwriter Prism Elite keyboard fuses RIOTORO’s intuitive onboard RGB lighting controls and genuine Cherry MX switches into a striking solid aluminum and polymer chassis. 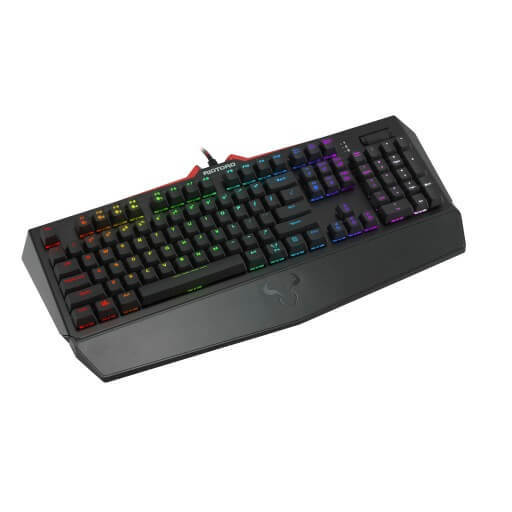 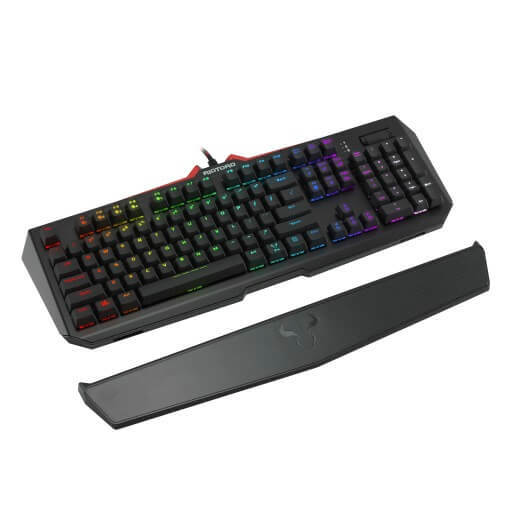 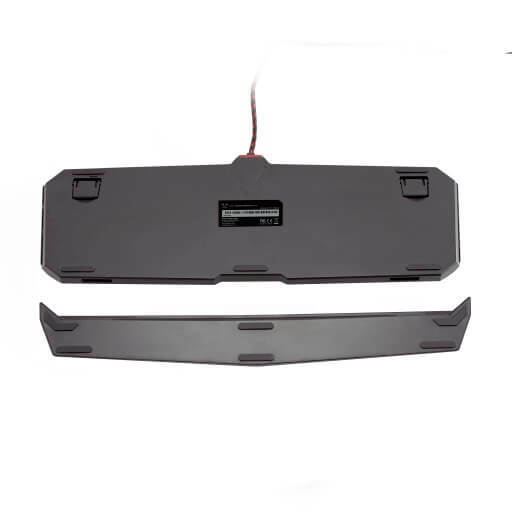 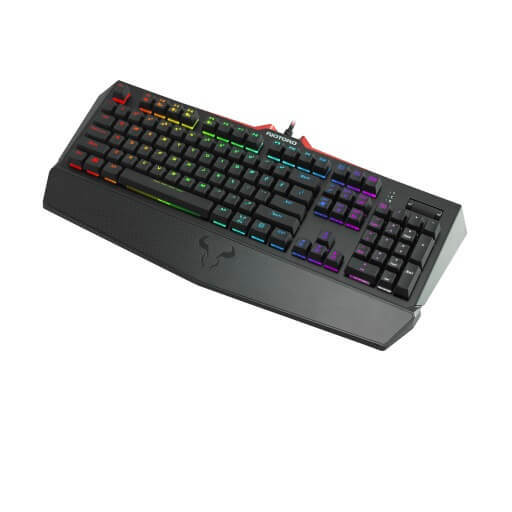 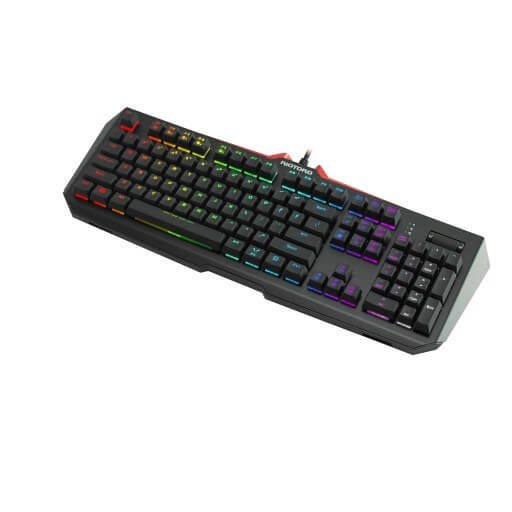 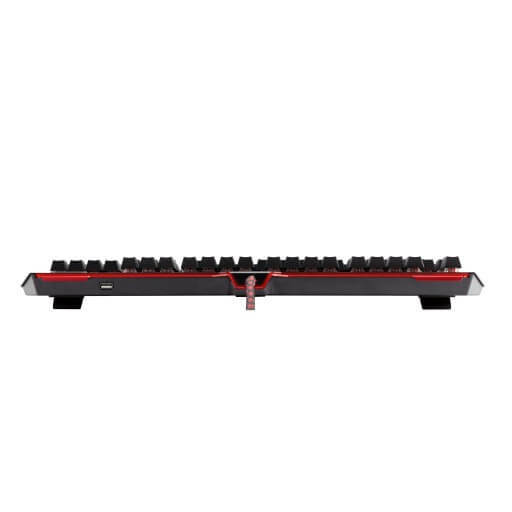 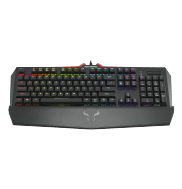 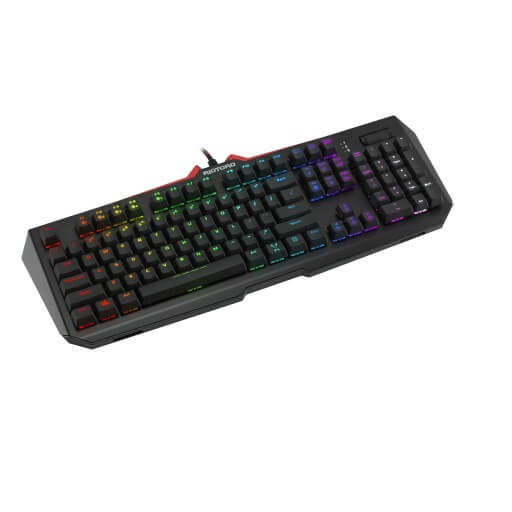 Features German made Cherry MX RED switches, Cherry MX switches are the world's leading mechanical technology. 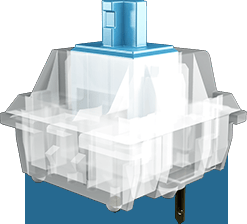 Made to exacting tolerances with gold contacts for precision and long-life, Cherry MX switches consistently deliver rapid, accurate actuation for tournament level performance. 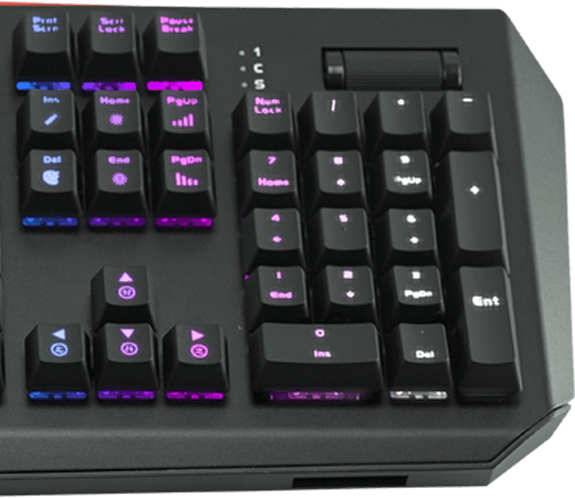 Ghostwriter Elites Aluminum and ABS exterior houses German-made Cherry MX mechanical switches backlit with 16.8 million color lighting, dedicated media controls and USB ports. 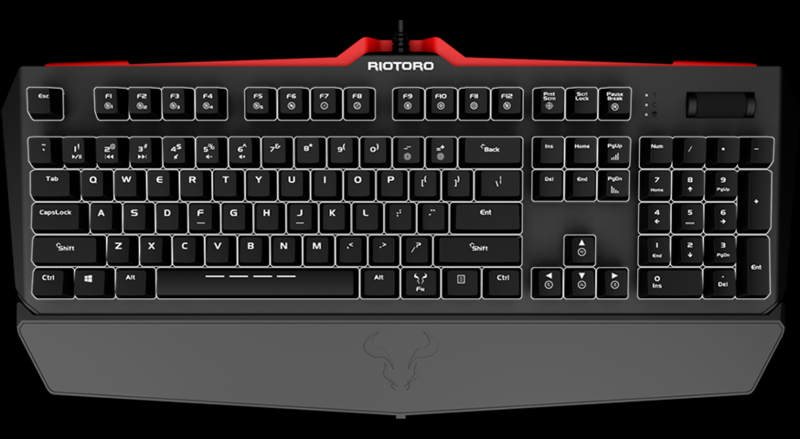 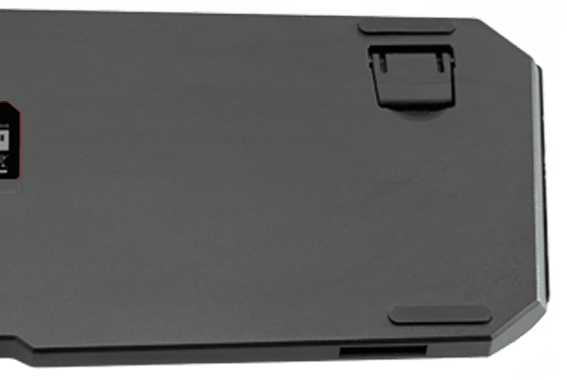 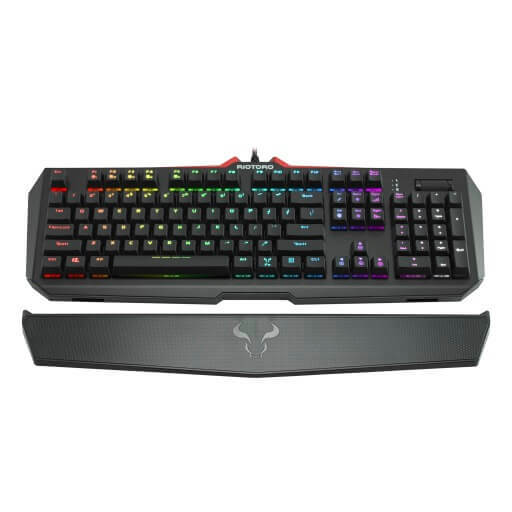 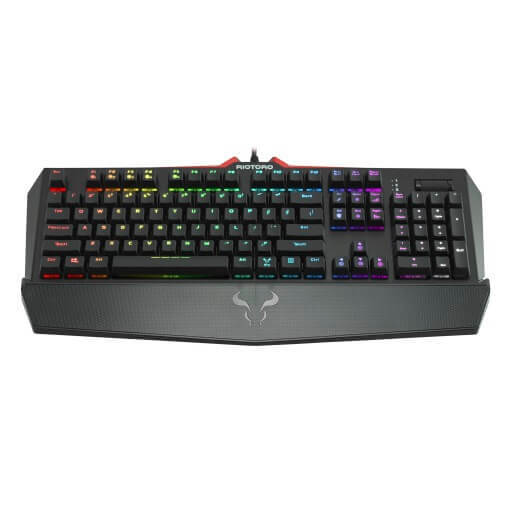 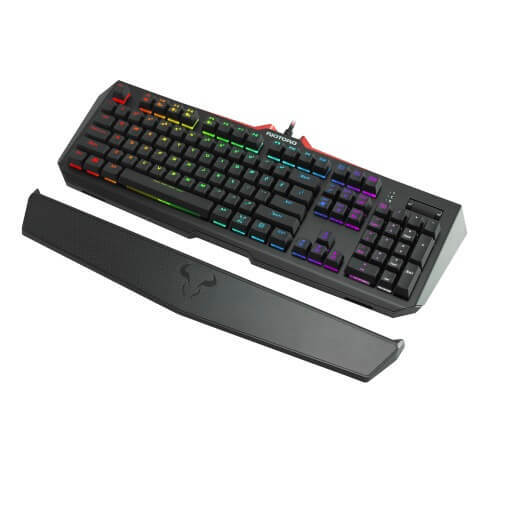 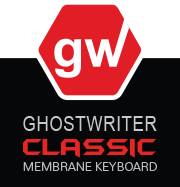 The Ghostwriter Classic gaming with built with modern membrane key switch design for a smooth, quiet, and comforable typing experience.